California regulators have proposed approving a long-term contract between PG&E and Solaren, developers of a speculative technology that would beam 200 megawatts of solar power to earth from outer space. Under the 15-year contract, Solaren Corp., of Manhattan Beach, Calif., would ship 850 gigawatt-hours of solar power a year starting in 2016, doubling that amount in later years. 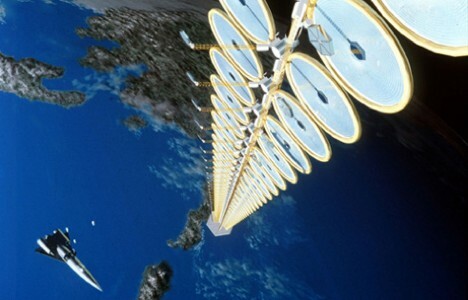 The power would be sent by radio frequency from an earth-orbiting satellite to a receiving station in Fresno, California. The energy-conversion technology has been used by communications satellites for 45 years on a much smaller scale, Solaren said. PG&E wouldn’t disclose the cost of the proposed 15-year contract but said it would be above-market, more than 12.9 cents a kilowatt-hour, according to documents filed with the California Public Utilities Commission, or CPUC. PG&E among other California utilities are required to use renewable sources for a fifth of the power they sell by 2010, ramping up to one-third of their retail power by 2020. The requirements are part of the state’s 2006 plan to combat climate change. 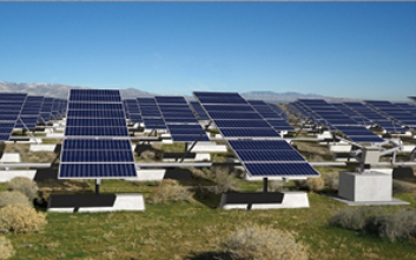 Because Solaren’s technology is untested, raising “concerns regarding the viability of the project,” PG&E can’t rely on the contract to comply with its renewable energy requirements until construction begins on the project and the CPUC gives additional approval, the agency said in a proposed decision. The CPUC could make a decision as early as December 3, 2009. 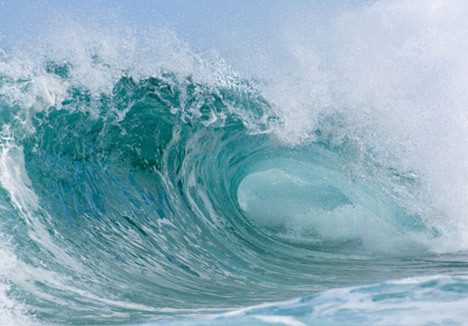 Pacific Gas & Electric has quietly dropped one of two planned 40-megawatt wave-farm projects. But PG&E recently dropped one of its two 40-megawatt wave-farm projects planned for the Northern California coast, according to documents filed with the Federal Regulatory Energy Commission. In 2007, the utility had applied for federal permits to explore the feasibility of placing wave energy generators in the Pacific Ocean off the coast of Humboldt and Mendocino counties. 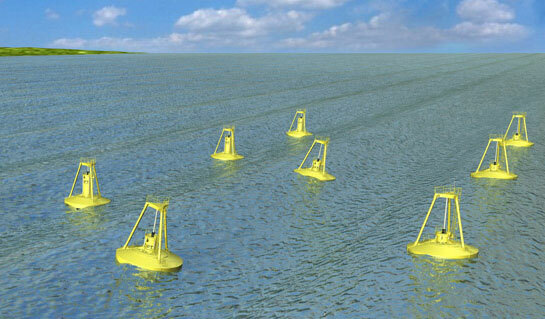 The scuttling of the project is just the latest setback for wave energy. Last year, California regulators also declined to approve a PG&E contract to buy a small amount of electricity from a Northern California wave farm to be built by Finavera Renewables, on the grounds the project was not viable. Despite the difficulties, PG&E is pushing forward with a similar wave project in Humboldt county. The utility has cut that project’s size from 136 square miles to 18 square miles as it zeroes in on the most productive areas of the ocean. Ms. Morris said that the utility expects to file a license application for the pilot project in the spring of 2010. However, the National Marine Fisheries Service has identified a plethora of protected species that may be affected by the Humboldt project, ranging from endangered coho salmon to the northern elephant seal and long-beaked common dolphin.